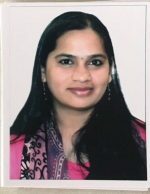 Chethana completed her Masters in Biotechnology in 2010 in India, and worked for a pharmaceutical company for two years. In 2016, she came to Australia and the following year she applied for a PhD at the University of Adelaide. She finds her entire field of research interesting, especially the effect of grape shrivel and how it affects the economy. Chethana enjoys reading literature about this topic, which led to her deriving her own PhD research question! Shekharappa, G.C., Hari, V.K.R., Gopinath, S.M. (2013). Review on Clerodendrum inerme. Journal of Pharmaceutical and Scientific Innovation, 2 (2), 38-40. Open Biological Sciences Journal, 1, 32-37. Shekharappa, G.C., Hari, V.K.R., Mirzaeri, F., Gopinath, S.M. (2013). Review on multidrug resistant bacteria and its implication in medical sciences. Shekharappa, G.C., Dayakar, R.K. (2013). Conservative production of biodiesel from waste vegetable oil. Global Journal of Research on Medicinal Plants & Indigenous Medicine, 2 (2), 102. Shekharappa, G.C., Savitha, H., Jyothi, N., Venkatesh, H.K.R., Gopinath, S.M. (2013). Pharmacognostical investigations of different parts of Clerodendrum inerme. Global Journal of Research on Medicinal Plants & Indigenous Medicine, 2 (7), 485. Shekharappa, G.C., Hari, V.K.R. (2013) Phytochemical analysis of Cleodendrum inerme. International Research Journal of Pharmacy, 4 (5), 208-209.